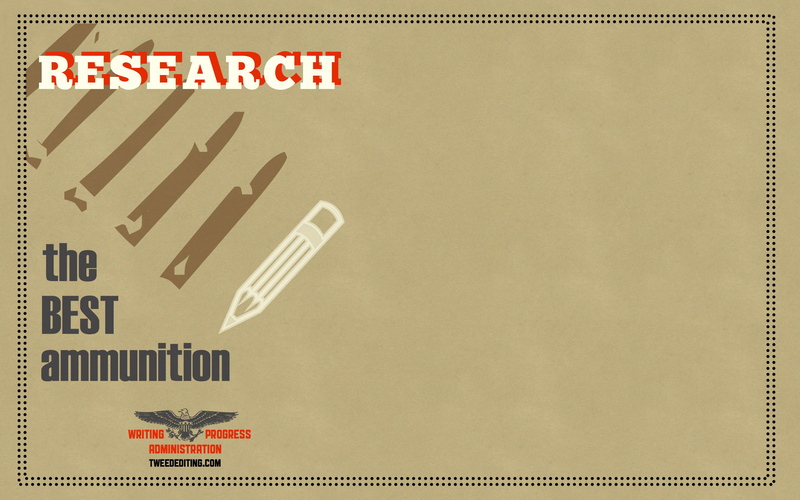 ATTENTION, CITIZEN WRITERS: The Writing Progress Administration returns with two new posters and computer wallpapers to motivate the diligent writing public. 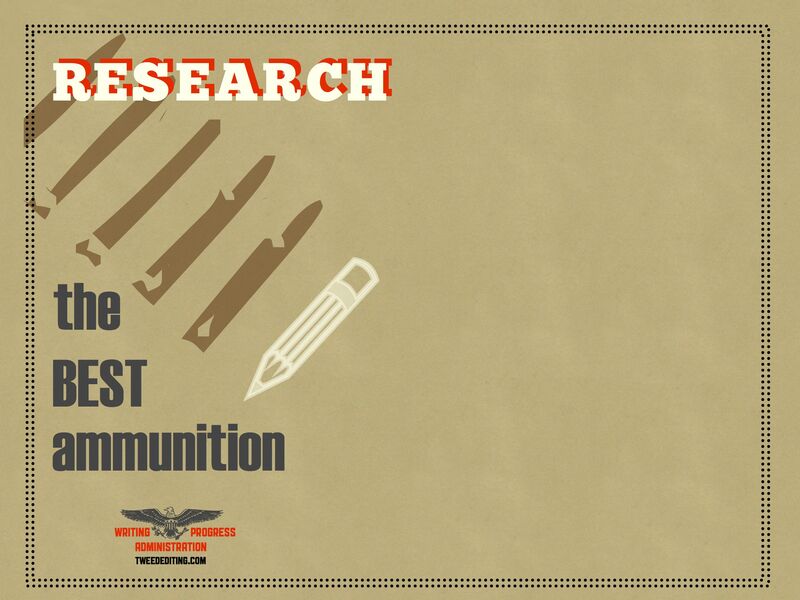 Download Research, the Best Ammunition: widescreen computer wallpaper, standard-dimension computer wallpaper, poster (PDF on white background). 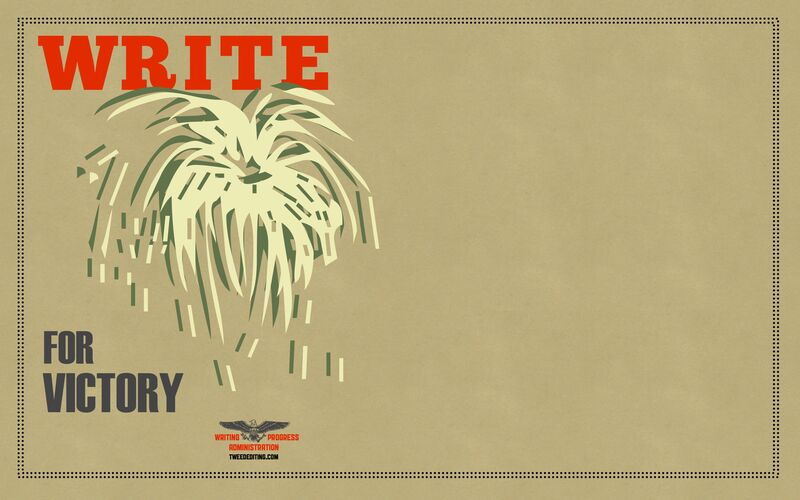 Write for Victory is a broad call to writers of every stripe. It may seem an isolating and tedious task, but at its best writing is a bold way to engage with society. If writing is your goal, then doing so is a contribution to public victory. 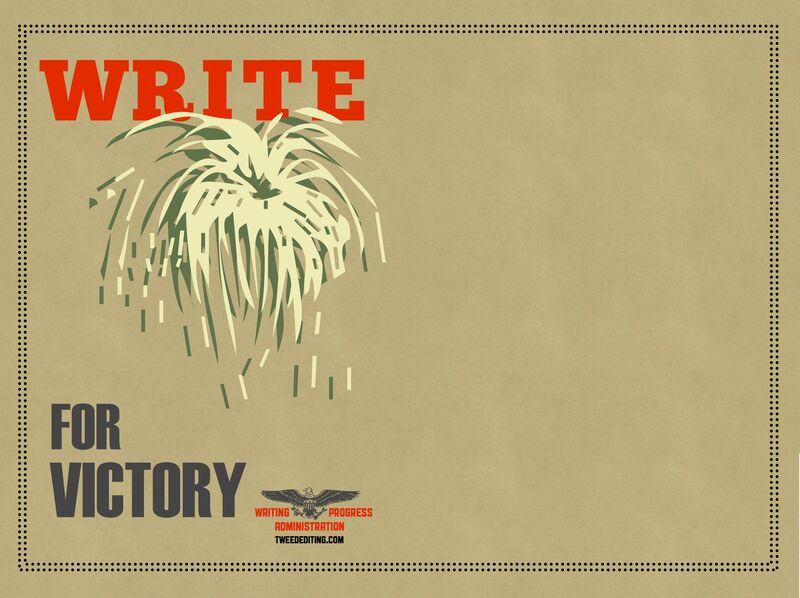 Download Write for Victory: widescreen computer wallpaper, standard-dimension computer wallpaper, poster (PDF on white background). See the inaugural Labor Day WPA set.